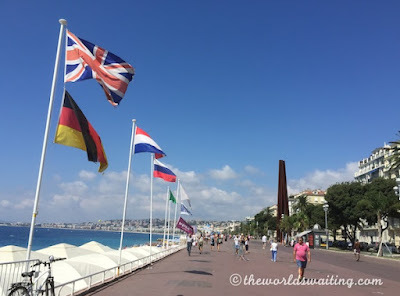 Nice has been the jewel in the crown of the French Riviera for centuries. The stunning landscapes, beautiful beaches, luxury yachts, amazing fresh food and joie de vivre are just some of the things Nice is celebrated for. Many people think they know Nice on the French Riviera, but how familiar are you with Nice? Here are seven interesting facts about Nice that you might not know. Originally known as ‘Nike’ and settled as part of the Greek empire, Nice also spent a period of time under Italian rule and named ‘Nizza’. In fact, Nice only became part of France in 1860 when the town was reluctantly given to France in gratitude for France’s efforts helping to defend Italy against the Austrians. The Mayor’s office claims Nice ‘chose’ to be French rather than Italian, but others claim no ‘non’ ballot papers were printed for the vote, so perhaps it’s best we don’t talk about that! 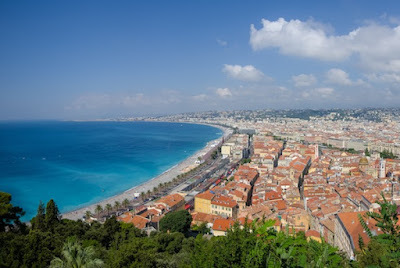 Nice’s large bay is known as the Bay of Angels, and named after a 3rd century miracle. A Palestinian Christian is said to have been tortured in an effort to get her to renounce her faith. She refused to and was executed as a result. Her body was put on a raft and set out to sea, as was customary at the time. Legend has it that angels guided the raft across the Mediterranean and to Nice where, upon reaching the shore, her body was found to be untouched and in pristine condition. The bay was named after the angels. Arguably the heart of the town, Nice’s iconic Promenade des Anglais is named after the first mass tourism seen in the town. Well-heeled English visitors strolling along the seafront beneath parasols would have seemed a strange, and probably quite amusing, sight for the local people who were mostly working class. Catherine Segurane must have been a colourful character to those that knew her. In 1506, when Nice’s population was around 3,000 people, the city was invaded by 20,000 Franco Turks. Under siege for several weeks, few soldiers remained and local washerwoman Catherine Segurane climbed onto the city walls beating back invaders with her laundry bat. One well-timed blow killed an invading warrior and she grabbed his flag and gestured that she was wiping her bum on it! Apparently humiliated by this act, the invaders withdrew and Nice was saved. As the medieval settlement of Nice grew it had to relocate from its hilltop position, and the town relocated to its current position at the bottom of the hill. As was usual at that time in Europe, Jewish community members were forced to live on one gated street and were locked in at night. The Nice townspeople, who had lived alongside, worked and traded with their Jewish neighbours for years, rejected this proposal, and set to work building a network of tunnels beneath buildings and secret doors, in what is now the Old Town. Visitors can see the once-Jewish street named ‘Carriera de la Judaria’, which has since been renamed ‘Rue Benoit Bunico’ after the statesman who, 200 years later, pushed through legislation to provide equal rights to Jews. Nice has hosted visitors for around 400,000 years, as an excavation on the hill behind Nice proved when they found evidence of cave people who had visited the area to hunt woolly mammals. 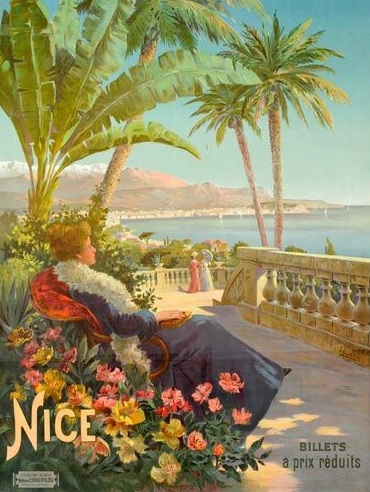 More recently, Nice, and the Riviera generally, became a popular destination for tourists at the turn of the century. The area was originally a winter resort the British flocked to, to escape their colder winters, and in order to benefit their health. Swimming in public was frowned upon at the time and it was only the brash nouveau riche that would dream of visiting (and swimming) in the warmer summer months. Visitors to Nice’s Old Town will be forgiven for jumping out of their skin at noon each day until they get accustomed to the firing of a single cannon shot on the dot of 12pm. The tradition began in 1860 at the request of eccentric Sir Thomas Coventry who, sick of his easily distracted wife’s inability to have lunch ready by noon each day, requested the Mayor’s office organise for a ‘reminder’ cannon shot to be fired each day at noon. The custom continues today. Do you know any other fascinating facts about Nice? If so, please share them in the comments below.